12/1/07 Charlotte Fadipe from NBC Channel 11 featured a 6 O'Clock news story. The story featured Jim Rossi the founder and Executive Director of FOFV along with his son Jim Jr. and Dr. Rapley. The Gaming Compulsion/Addiction Seminar was the focus as it related to parents buying video games this holiday season. 11/18/07 Jim Rossi the Executive Director of FOFV was a guest on Childhood Matters Radio Show with Rona Renner. on the topic "The Roles of fathers in the lives of Children". 11/16/07 Michael Kaplan from the Quake Radio Green 960 interviews Lisa Nichols Operations Manager at FOFV. Radio personality Michael Kaplan is interested in the upcoming Gaming & Internet Compulsion/Addiction Seminar happing on Dec 1st. 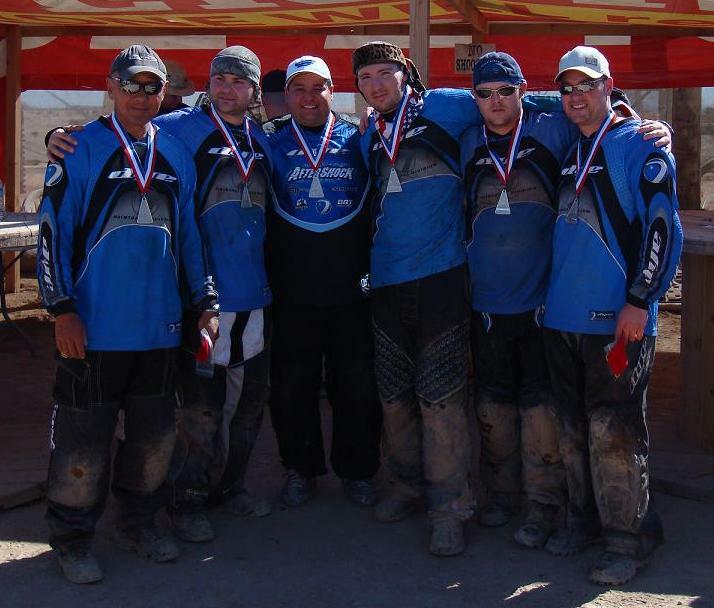 10/20/07 The Santa Clara All-Stars Paintball team won Silver Medals in the '07 Police Olympics! 10/15/07 Jim Rossi the Executive Director in Local News! Sat. 12/1 from 10:00 a.m. - 3:00 p.m. FREE!!! The first conference does require Online registration via E-mail. New class begins Nov. 10th. Online registration is available. 2 Thursdays, 12/6 and 12/16, 2007 from 7:00 - 9:00 p.m. $40 individual or $60 couple for members. New class begins December 6th. Online registration is available. 2 Thursdays, 11/8 and 11/15, 2007 from 7:00 - 9:00 p.m. $40 individual or $60 couple for members. New class begins November 8th. Online registration is available. New forum for parents with children in grades 3-12. Online registration is available. New class begins November 5th. Online registration is available. 9/13/07 B.A.B.Y magazine's story "Tips for father's to be" features comments by FOFV's Jay Harnden and Jim Rossi. 8/3/07 Kolty Chess in Local News! Writer Emilie Crofton from the Campbell Reporter recently visited the Kolty Chess Club. She was surprised to find such a broad range of ages of players. Read more from her story (mht) or story (pdf) or story (jpg). New class begins September 6th. Online registration is now available for the course. Space is limited. The class also incorporates the Parenting Support Group immediately following the course for an additional hour. Stop by the store to sample natural baby products and chat with representatives from baby care companies. Enter a free drawing to win big-we're giving away hundreds of dollars worth of prizes! Plus, free gift bags for the first 200 families. July 3rd every year has been designed by The Foundation of Family Values as the official "Kids Day" of the year. It is a special day for children to celebrate their youth. It is equivalent to Fathers Day and Mother's Day. Children are able to request reasonable activities that they would like to enjoy on their very own special day. Help support this precious day for all children! The first Fathers' Support Group will be offered for FREE on Tuesday nights from 7:00 � 9:00 p.m. at the Campbell Community Center. (See Parenting Support Groups for more information.) The group is facilitated by Jay Harnden, one of the founders of Family Matters and the founder of Family Coaching Solutions. *Note*: A raffle ticket is given to father's for every attendance. The tickets will be randomly selected and awarded to receive 2 free donated tickets to a local professional sporting event. Family Court Services has accepted the parenting course called "Conscious Parenting" offered by The Foundation of Family Values starting 5/24/07 on Thursday nights. (See Parenting Education for more information.) FOFV looks forward to working with Family Court Services to provide effective programs designed to help all families. Jim Rossi, Executive Director of Foundations of Family Values, met with Jolene Smith, the Executive Director of First Five of Santa Clara County www.first5kids.com. The two agencies have agreed to a collaborative effort to help the parents and children in Santa Clara County. The Foundation of Family Values successfully promoted services to families at the Bay Area Parent Workshop Camp Fair located at the Westgate Mall in Saratoga, CA. Hundreds of balloons were given to children along with other promotional items. The South West Partnership meeting was held at the Cupertino Community Center. Jim Rossi, FOFV Executive Director, provided a presentation of services offered through the Foundation of Family Values. The group discussed community needs and available resources. The first Foundation of Family Values display ad was published in the Silicon Valley Bay Area Parent magazine Summer Edition.